Please be aware that for styling reasons the headlight is mounted very close to the fork/steering stem. 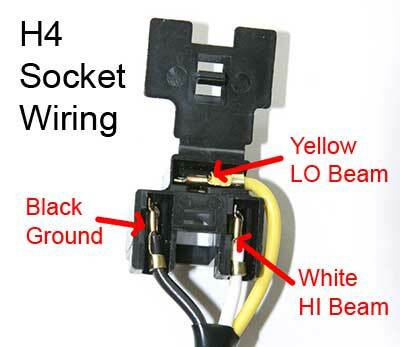 Depending on the model of bike it may interfere with the ignition or instrument housing. The fork clamps are mounted with a distance of 115mm (4.5") on the forks legs. Included in the kits are billet aluminum side panels, 4 billet aluminum fork clamps, bolts and spacers. All brackets and side panels are available in a black anodized finish. Brackets are available in different diameters, bushings utilized for different fork diameter. Please measure the fork leg diameter in the clamping area to ensure the correct sized clamps. 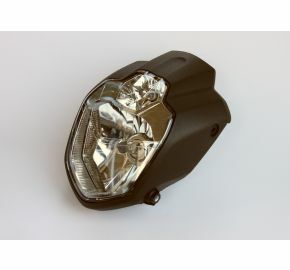 The Urban headlight includes an H4 bulb for high and low beam as well as a running light. 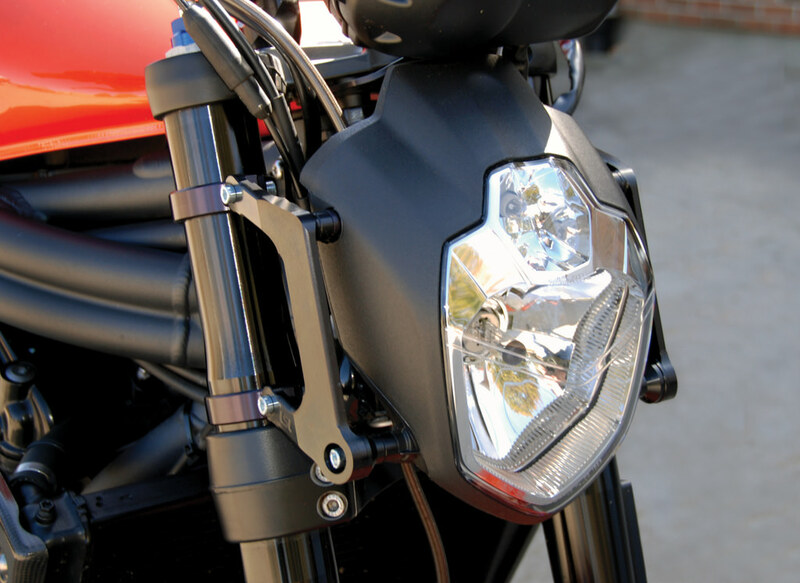 Bike specific kits also available for Triumph Speed Triple 1050, Speed Triple 955, Street Triple 675 / R and Yamaha FZ-09. These kits include a fully machined instrument support that is specific to the model of bike.